Under sink water filters – How to buy the best one you need? Under-sink water filters are by far the most popular type of water filters for residential use. Homeowners enjoy them because of their low-cost, easy maintenance and the fact that they don’t take up much space, staying hidden under the kitchen sink. 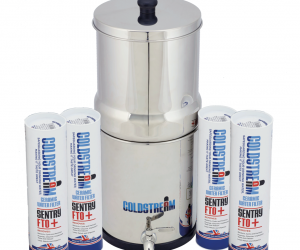 Another benefit of under-sink water filters is that they are available both in single-stage models (e.g. inline filter, one filter cartridge models) and multi-stage models (2 or 4-stage filters), allowing a perfect customization of the level of filtration you desire. But are under-sink water filters a good fit for you? And should you install a single-stage or multi-stage model? We’ll help you shed on light on these questions and more in our comprehensive guide to under-sink water filters. 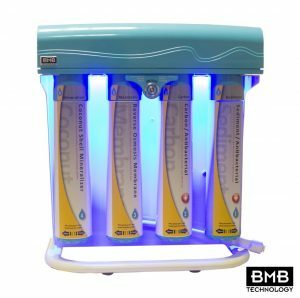 Ultraviolet water filters are the single most efficient water sanitising method designed to solve microbiological issues with water. The best UV filters outperform other water purifying methods like chlorination or the use of chloramine by targeting all types of microorganisms without relying on any chemicals. This chemical-free water purifying process is safer both for humans and the environment. By exposing microorganism to UV lights, the DNA of these gets altered to the point where they become unable to infect or multiply. Ultraviolet water filters emit a certain wavelength of ultraviolet light, which attacks the genetic core of disease-causing bacteria and viruses. But to produce its desired effects, the UV lights must be of a certain intensity (at least 40 mJ/cm2 as recommended by the NSF), and it must be unobstructed by sediments or other suspended solids. Why should you consider water filters for tap water? Tap water is a convenient and affordable source of drinking water, especially compared to bottled water. But can you trust your tap water to be safe? How do you know whether it’s ok to drink tap water and when should you take precautions and install a water filter? The quality and safety levels of tap water differ from region to region, since every region’s tap water is coming from different sources. 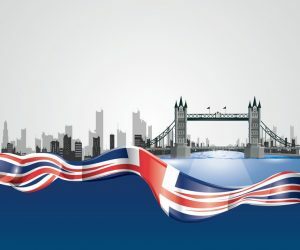 For the most part, however, tap water in the United Kingdom is safe. The water that’s treated at the source is not impervious to contamination as it travels through water pipes that may be old or unreliable. Thus, a good way to find out whether you need a water filter for your tap water is to get it tested. Home water testing kits or laboratory analyses can reveal lots of information about the quality of your tap water including information about the presence of potentially dangerous chemicals or bacteria. Reverse osmosis is one of the most advanced water filtration technologies in existence today. The invention of reverse osmosis is linked to the name of an 18th century physicist, Jean Antoine Nolett, who first observed the process. However, reverse osmosis filters for residential use only appeared during the late 1990s. Today, reverse osmosis water filters are a ubiquitous presence in the water filter industry. They are available both for commercial and residential applications, being the top choice of businesses and homeowners who need a constant supply of high-purity water. Water filtration technologies have seen many advancements since their humble beginnings. Water filters were used throughout history to improve the taste of water, but also to remove sediments and even bacteria. The use of activated carbon and ceramic filters can be traced back to ancient Egypt. With time, these methods have been revolutionised and new technologies have been added to create highly efficient and advanced water filters. We usually just turn on the tap and fill our glasses, or open a water bottle and gulp down on its contents without thinking about the chemical composition of our drinking water. Depending on its composition, our drinking water can be beneficial or detrimental for our health. No matter how pure, water found in nature isn’t just simply H2O. As water passes through the soil, it picks up trace amounts of minerals or inorganic materials, organic impurities, bacteria and even toxic substances. Therefore, the chemical composition of our drinking water is strongly correlated with the chemical composition of the soil that it passes through. Some of the elements that end up in our water are natural and healthy, others are toxic for the human body whether they are natural or man-made. Shower filters are available in a variety of models designed to meet a variety of use cases. Shower filters are handy filtering devices used for removing contaminants from the water you shower or bathe with. The best shower filters will help you avoid a range of health problems and skin irritation issues caused by showering in unfiltered water. But how can you tell which shower filter is the best for you? Read our quick guide on how to choose the best shower filter for your home. Know these healthy factors before drinking your water! Water is an indispensable element for any living creature. From flushing out toxins to delivering minerals and nutrients throughout your body, water has several functions that promote the healthy functioning of your body. Time and time again, we are told about the importance of drinking plenty of water and staying hydrated. 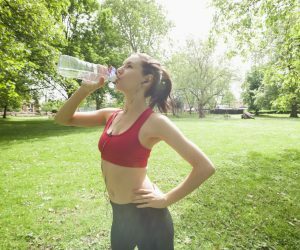 This article will provide useful information on how much water you should drink per day, which is the best time to drink water, what happens if you drink too little or too much water, and which is the best type of water to drink. Public water supplies are regularly tested and monitored, which makes it possible for water providers to alert the population in time of any water contamination issues and contain the situation before it starts causing problems. Albeit not a common occurrence, disease outbreaks because of water contamination do appear even in countries like the United Kingdom, where strict water regulations are in place to safeguard water supplies and to protect public health. 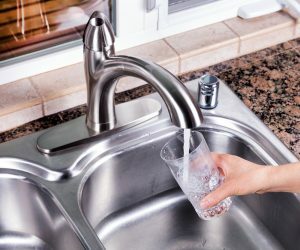 In 2016, several regions in the UK have seen their share of water contamination incidents, causing disruption in thousands of households across the country, thus forcing several water suppliers to issue Do Not Drink, Do Not Use or Boil Water notices and distribute bottled water to households affected by the contamination.